The Accidental Prime Minister – A book to make you laugh out loud! ‘The Accidental Prime Minister’ by Tom Mc Laughlin is one of the funniest books I have read this year and I found it ironically by total accident. Tom first came to my attention with his amazing illustration work on some of my favourite picture books the ‘Captain Buckleboots’ serie. My personal favourite of these is ‘Father Christmas on the Naughty Step’ which I use every year for Christmas storytime at the library. He then went on to produce his own picture books ‘The Diabolical Mr TIddles’ and ‘The Story Machine’ which are both outstanding in their own rights. It was while searching for a copy of his latest picture book ‘The Cloudspotter’ that I came across ‘The Accidental Prime Minister’ and knew that if it was anywhere nearly as good as his picture books then it would be a great read. 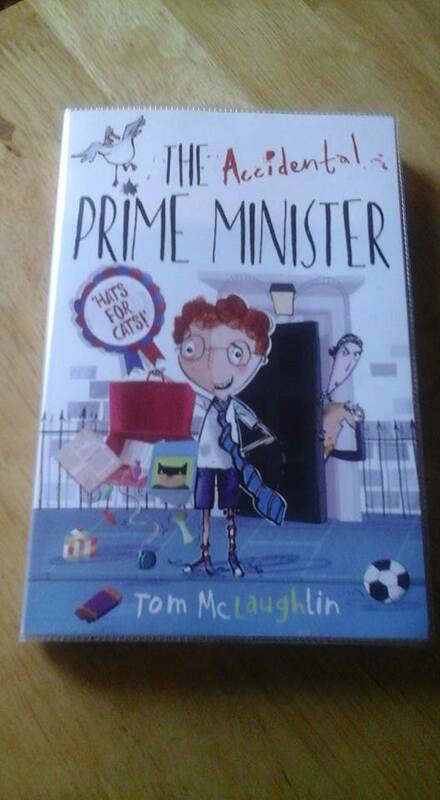 The book tells the story of a boy called Joe who accidentally ends up becoming Prime Minister when he tries to save the park where his Mum works, from closure. Tom opens his books with real life comments from children who have been asked ‘What would you do?’ if you became Prime Minister. The best comments include ‘Invent a 99p coin. It would make paying for stuff much easier’ and ‘children need only shower/bath on Sundays.’ We also get to see a copy of Joe’s manifesto which sets the scene for the craziness that unfolds within the book. The country is run by a dastardly man called Percival T. Duckholm who after an altercation with Joe, which brings him to the attention of the world media, tricks him into becoming Prime Minister. We then see Joe trying to run the country and implement his manifesto including having a fancy dress Friday (on a Thursday) and cats having to wear hats. It offers a really interesting insight into the world of politics as Joe is given a tour around 10 Downing Street and goes off on summits. joe has to deal with his arch nemesis Violetta the deputy Prime Minister who is out to destroy him, Inevitably things don’t run smoothly and everything starts to unravel. 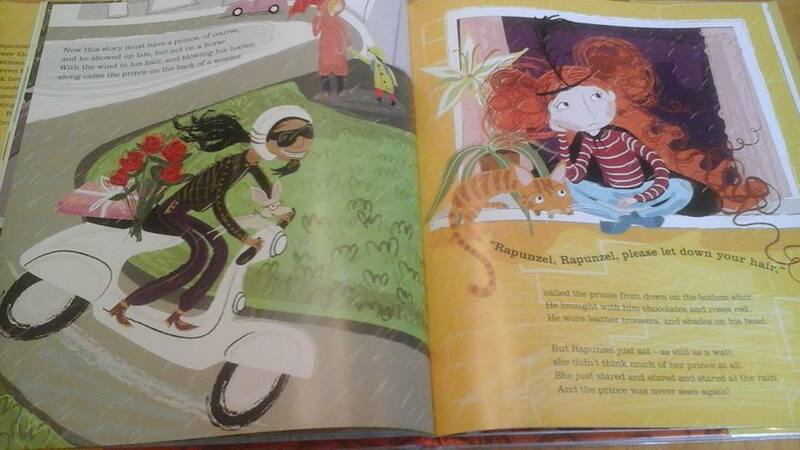 There are so many amusing episodes throughout the book which will have children laughing in joy, I particulary enjoyed the roller skating Queen who has curlers in her hair and goes around trying to kill pigeons with a catapult, with accompanying illustration which is fabulous. 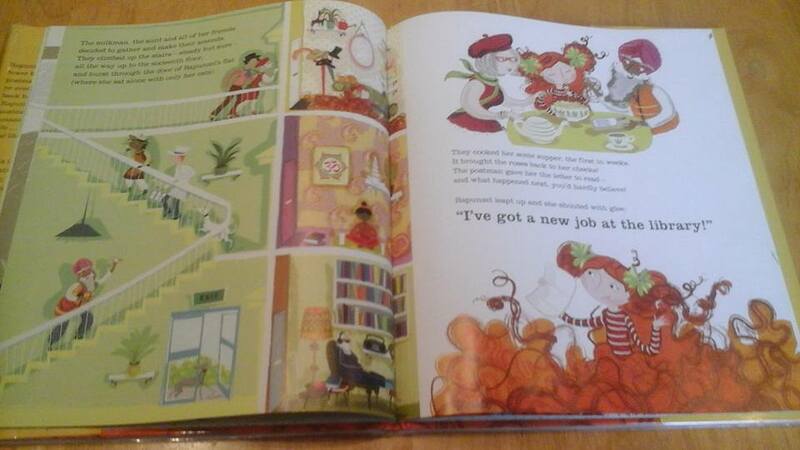 if you are sharing this book with a child there are lots of things to keep grown ups amused. 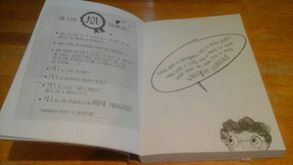 Each of the chapters are named after songs ‘Panic on the streets of London’, ‘Help’ and ‘Don’t stop me now’ to name but a few. We also get the benefit of Tom’s artistic talents with the hilarious illustrations interspersed in the book, these really enhance the reading experience. 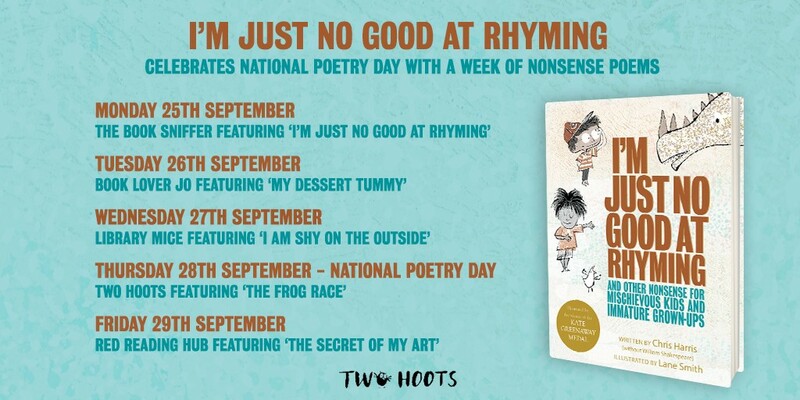 If you’re looking for something to share with your child which will keep you amused or just want a genuinely funny book, then this is the one for you. Enjoy! 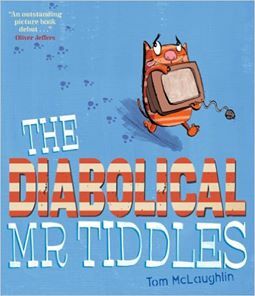 This entry was posted in Uncategorized and tagged funniest books, picture books, The Accidental Prime Minister, Tom Mc Laughlin on July 29, 2015 by bookloverjo. One of my favourite parts of my job as a school and children’s librarian is the weekly storytime sessions that I run. I usually do themed storytimes around seasonal events or topics at school but sometimes I find a picture book that I love so much I have to plan a storytime session just so I can read it. 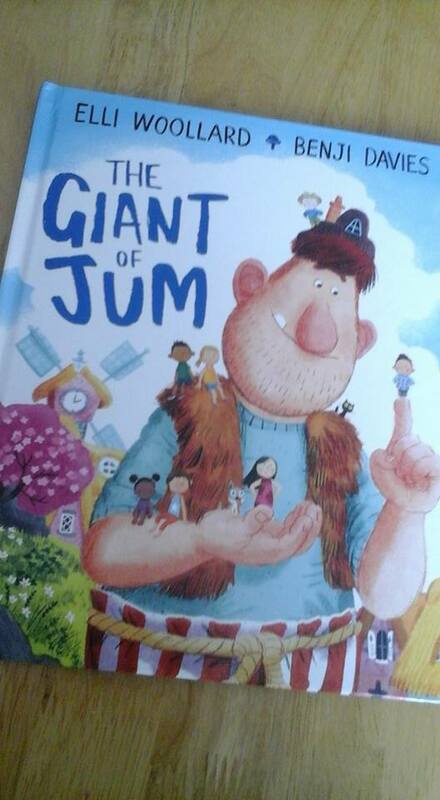 This happened when I first came across ‘The Giant of Jum’ by Elli Woollard and Benji Davies which offers an alternative to the traditional Giant stories. I knew that I would have to have a Giant storytime just so I could get to share it with the children at the library. 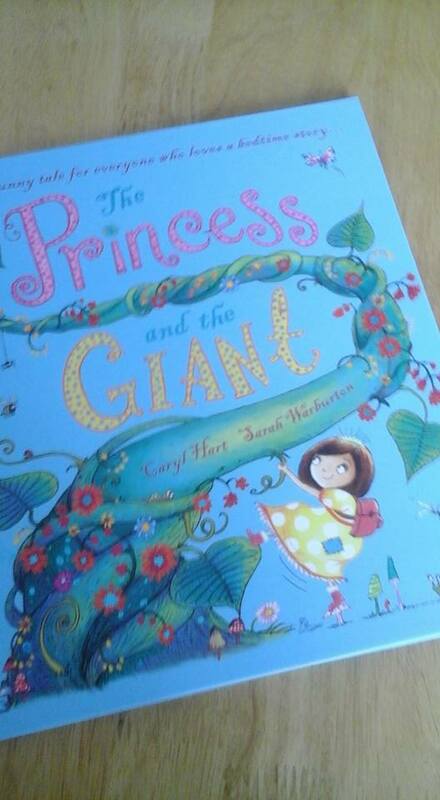 The perfect book to complement this is the equally brilliant ‘The Princess and the Giants’ by Caryl Hart and Sarah Warburton which is another superbly told fairytale with a twist. ‘The Giant of Jum’ opens with a very grumpy giant which gives me the perfect excuse to use my best growly voice to set the tone of the story. 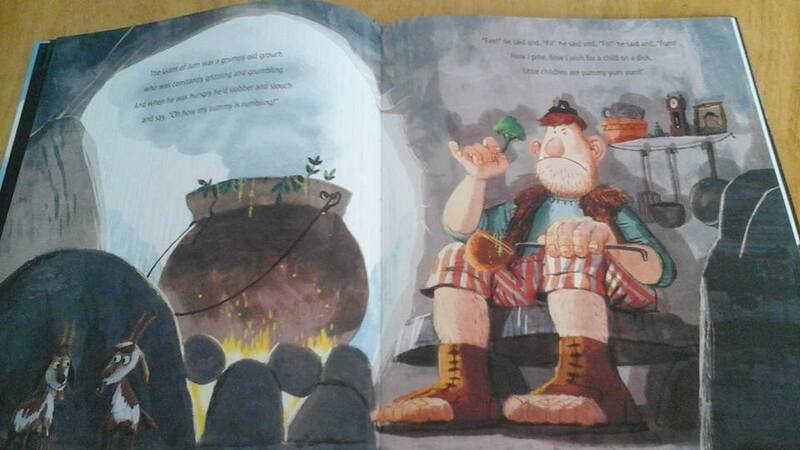 It oozes with description as the Giant is ‘grizzliing’ and ‘grumbling’ and he would ‘slobber’ and ‘slouch’ because he is hungry. 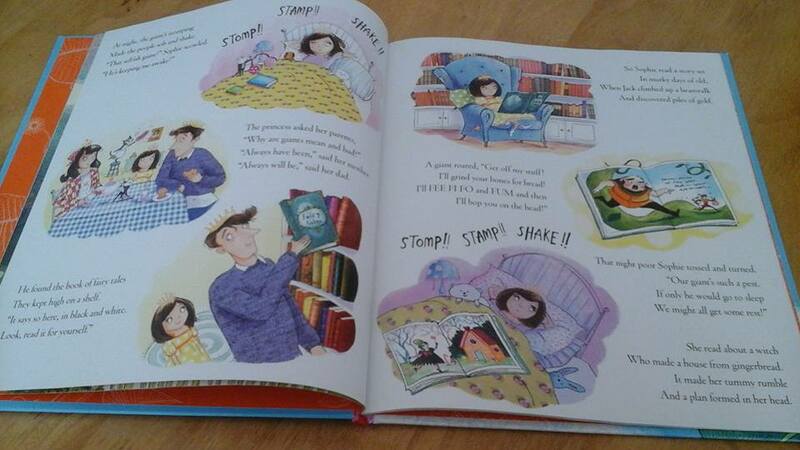 He then goes on to ‘Fee, Fo and Fum’ which continues with slight variations throughout the story which gives great opportunities for children to join in when you’re reading. He decides he needs a child as a snack to stop his tummy rumbling and off he goes in search of a boy named Jack that he has been told about. His plans get distracted by children who only see a tall man who can help fetch their ball and rescue the cat, they are not scared by him at all. 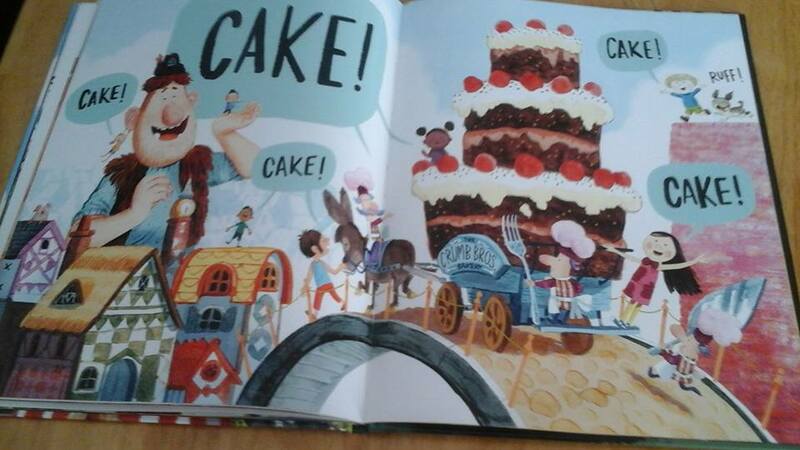 When the Giant decides it’s now time to eat some children he gets really confused when they say he is lovely and kind as he helped them out and actually what he really needs is CAKE to eat not them. 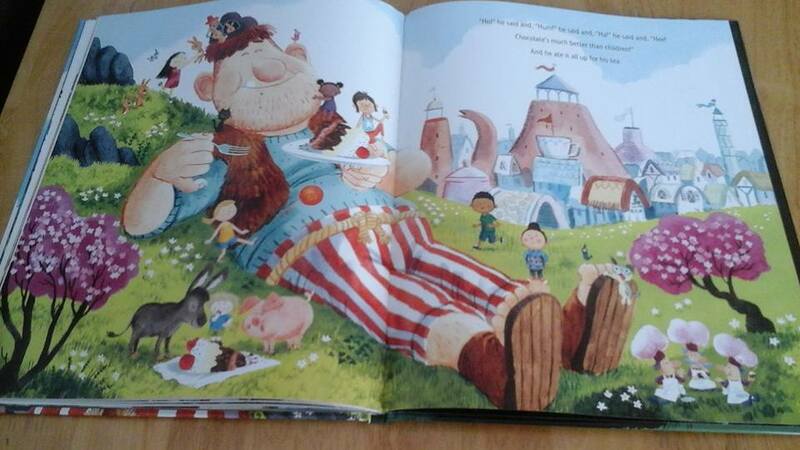 The poor Giant has never been called lovely before and decides that actually ‘Chocolate’s much better than children’ to eat and so they all live happily ever after. For me, the brilliance of this story is the beautiful rhyming verses which help the book flow so smoothly and make it a joy to read aloud. Great books for reading aloud are more difficult to find than you would think and if you can find a story that gets a group to be so involved that you could hear a pin drop, then you’re on to a winner. 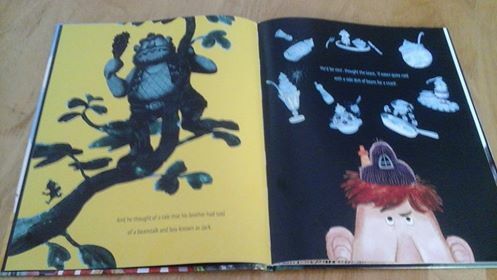 It is also delightfully ilustrated by the amazingly talented Benji Davies, whose ‘Storm Whale’ book is another one of those stories which when read aloud captivates children. 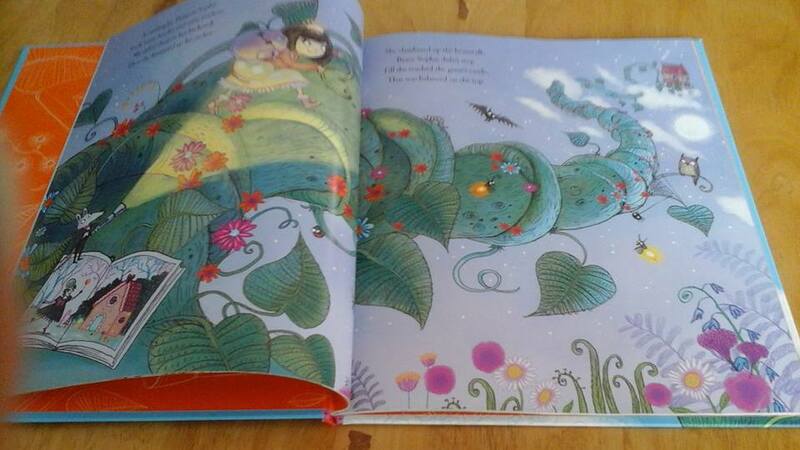 ‘The Princess and the Giant’ is another fantastic book for storytime with its sublime rhyming throughout and is ideal for reading aloud. We meet the Princess Sophie who is clearly in charge of the story and is not waiting for anyone to sort out the problem of the Giant. Why would she when she can do that herself! It opens with lovely touches such as ‘her father made the porridge and her mother chopped the wood’, it is refreshing to see variations from the traditional fairytale roles. Princess Sophie is very unhappy as the Giant is keeping everyone awake by stomping around at night. Her parents tell her that’s just the way it is but she comes up with a plan to stop the Giant from disturbing everyone. 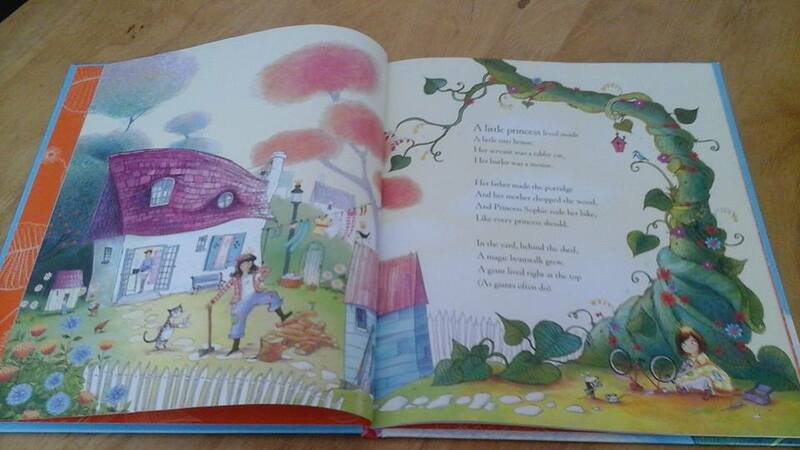 She climbs up the beanstalk and tries lots of different ways to get the giant to go to sleep. 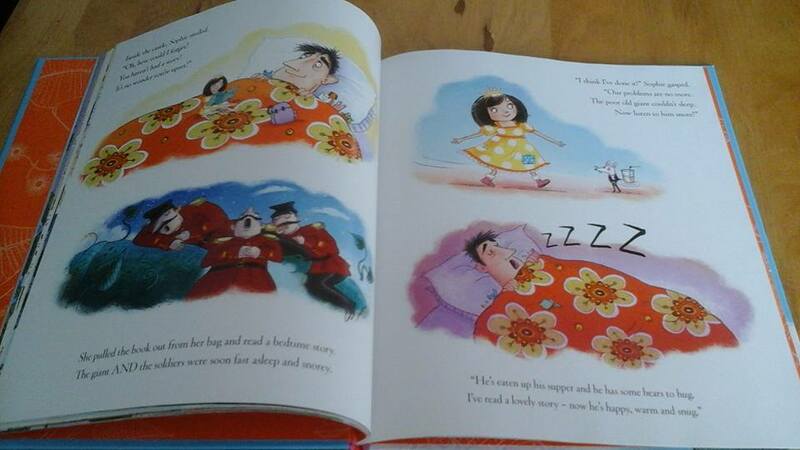 Porridge, cuddly bears, and even a new mattress can’t get the Giant to sleep and everyone is in despair. 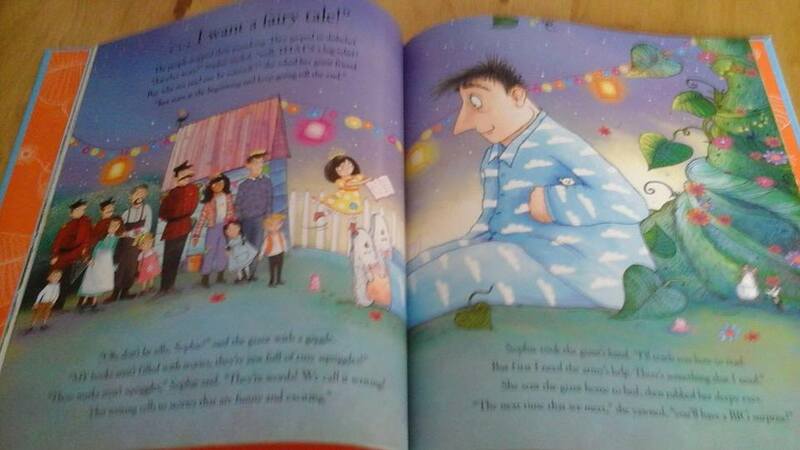 Sophie then realises what the Giant actually needs is a bedtime story, who could possibly sleep without one of those? It appears to do the trick, the Giant goes to sleep. But then disaster strikes, the Giant comes thudding down the beanstalk looking for Princess Sophie and everyone is terrified that he has come to eat them all up. However the Giant just wants Sophie to read him a story and she then realises he can’t actually read himself so she decides she must help him. 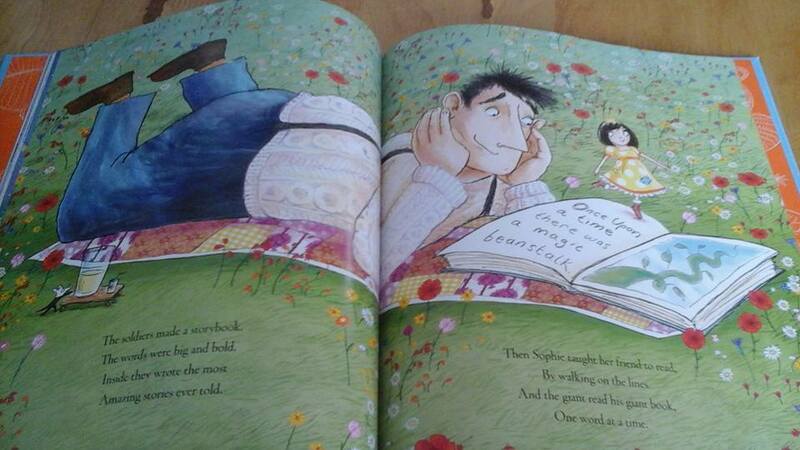 And because the Giant can now read and Sophie sees him every day they both live Happily Ever After! 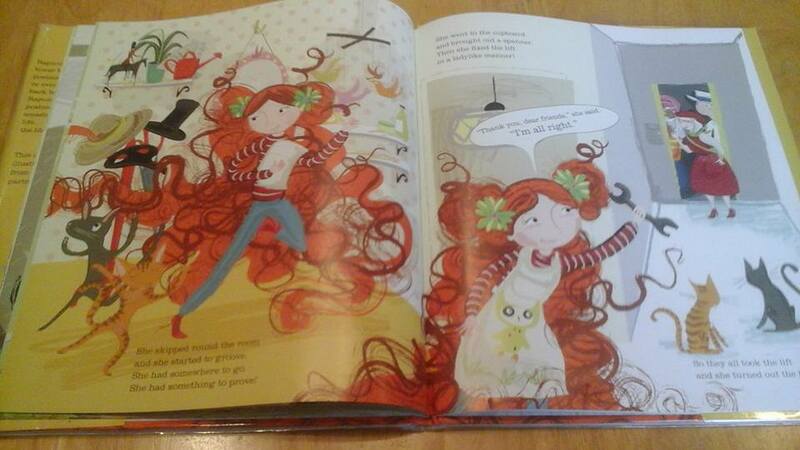 This book is fantastic it’s great to see a feisty brave girl in a fairytale who doesn’t need to be rescued. It fills me with happiness to see that it is something as simple as sharing a bedtime story and learning to read which creates the happy ending. With the beautifully detailed illustrations by Sarah Warburton which ensure this book becomes a truly marvellous sight to behold and Caryl Hart’s imaginative storytelling. 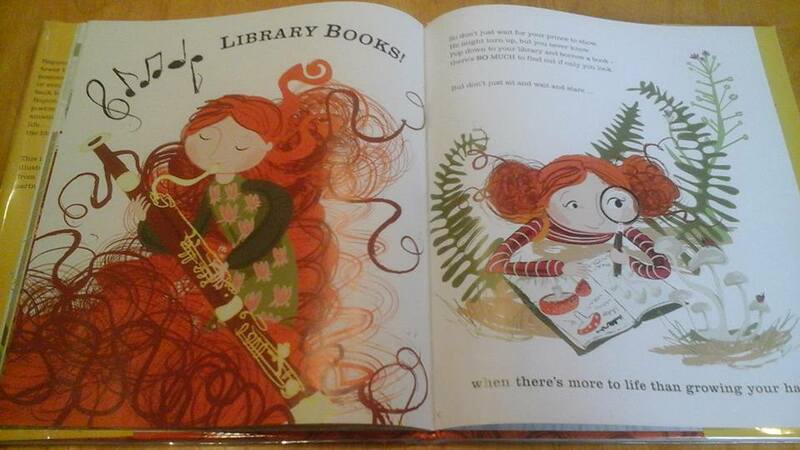 I’m not sure there is much more you could wish for in a picture book. This entry was posted in Uncategorized on July 28, 2015 by bookloverjo. 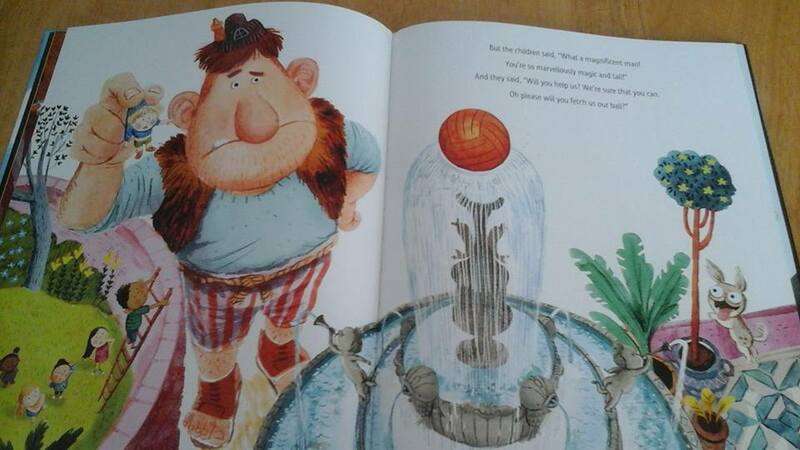 In today’s blog I wanted to talk about (ok rave about) Picture Books for Older Readers! If like most people when I mention these books you think, ‘What is she on about’ well hopefully I will try and shine some light on it for you. 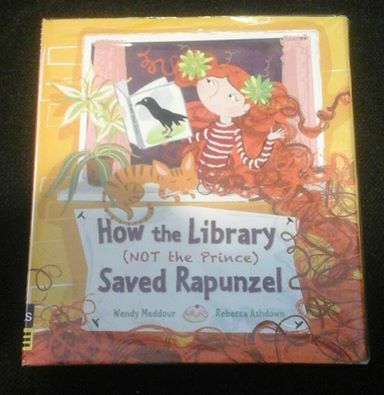 I will also be looking at one of my favourite Picture Books for Older Readers ‘How the Library (Not the Prince) Saved Rapunzel written by Wendy Meddour and illustrated by Rebecca Ashdown. 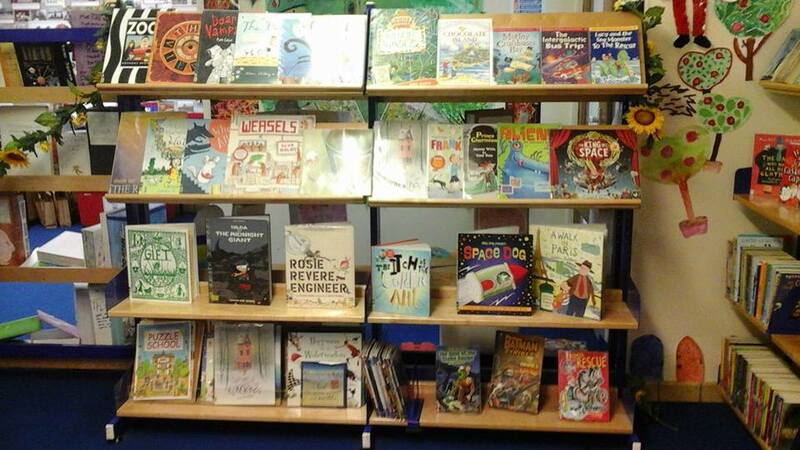 The school library where I work has a large section devoted to these books we call them KS2 Picture books. We have worked hard to try and convince both the children and the adults that it is perfectly acceptable for them to read Picture Books and there is so much enjoyment to be had by doing this. They offer a challenging read with the illustrations and the text providing plenty of material for them to think about and understand. 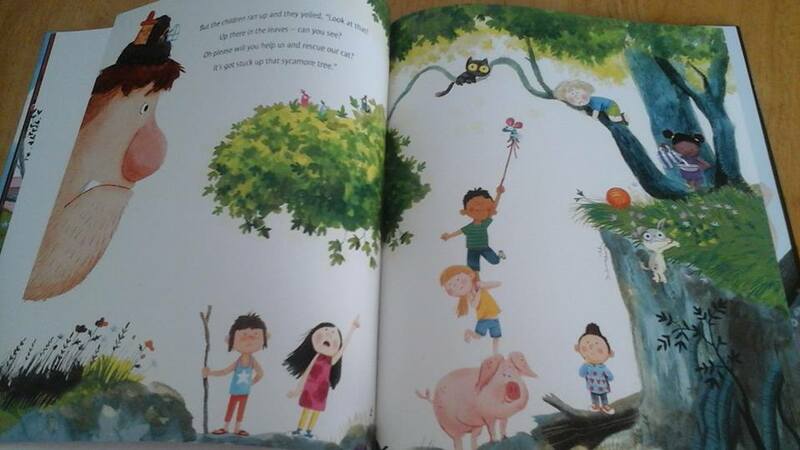 I find it really difficult when I hear parents make comments about Picture Books being too ‘babyish’ for children and telling them to put them back. There are so many sophisticated books out there, if you make them available and encourage children to read them it will open up a whole new world of enjoyment for them. 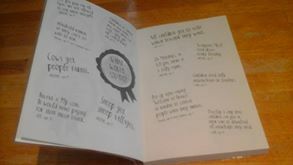 At school we also take part in the fantastic Hamsphire School Library Service Illustrated Picture Book Awards for Year 5s each year, in order to demonstrate how fantastic they can be. This year’s winner was ‘The Day the Crayons Quit’ by Drew Daywalt and Oliver Jeffers which is a totally amazing book and I’m looking forward to reviewing the follow up, ‘The Day the Crayons Came Back’ in August. Now moving on to the main event, ‘How the Library (Not the Prince) Saved Rapunzel I love this book because shock horror as the title suggests Rapunzel isn’t rescued by a prince instead it’s the library which saves her. The story tells the tale of Rapunzel who sits in her tower block not going anwhere as she has ‘nowhere to go’ and ‘nothing to prove’. Everyone visits Rapunzel and tries to get her to let down her hair as the lift has broken but she just won’t move, even the prince comes by and tries to entice her but ‘she didn’t think much of her prince at all.’ You can’t really blame Rapunzel the Prince does look a bit too smooth and a little bit in love with himself. All is not going well for Rapunzel, until everyone climbs the stairs to help her and the postman gives her a letter to read and she finds out she has a job at the Library! 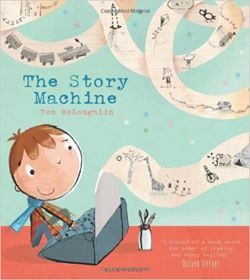 This beautifully told tale with sublime illustrations is like a love letter to libraries and the importance of reading. It is a true celebration of a strong female character deciding her own destiny and realising the joy that comes from library books. 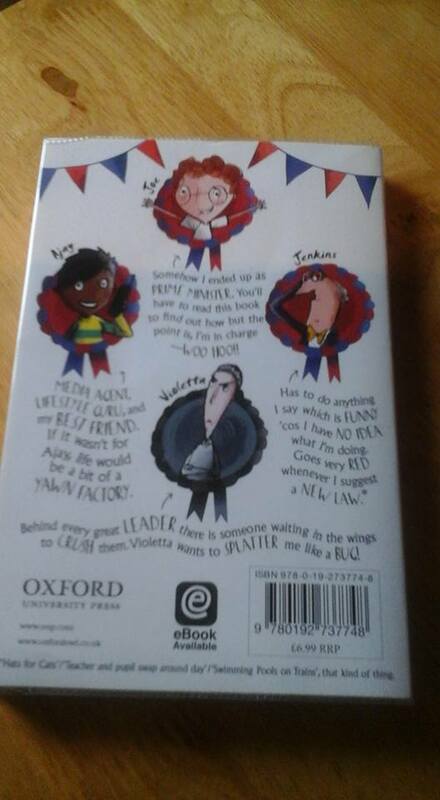 Every child that I have read this too or recommended has loved it as well which says all that needs to be said! This entry was posted in Uncategorized on July 26, 2015 by bookloverjo. 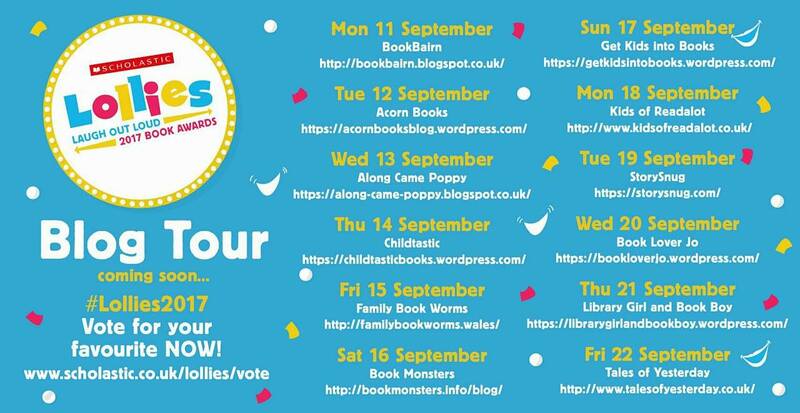 I first came across The Dreamsnatcher by Abi Elphinstone in a School Library Sevice Meeting and spotted it amongst the new books to try. It was the cover by Thomas Flintham which first caught my attention with its bold colours and vivid images I knew that this was a book I wanted to read. You might be mistaken if you believe the media’s image of librarians that we are all mild mannered and quiet individuals. However if you put a group of school librarians in a room with books and tell them that they can take the ones they want back to their school you will soon see their true colours. I couldn’t take the risk that someone might get this book before me so I may (not admitting to anything here) have picked it up and put it to one side to ensure it was mine to take back. 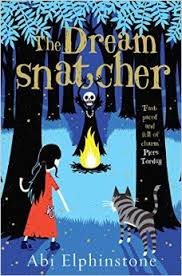 It’s really hard for me to describe how much I love Abi Elphinstone’s The Dreamsnatcher it’s difficult to put into words how it left me feeling after I first encountered it. It has the feel of a timeless classic and evokes memories of some of my favourite childhood reads. 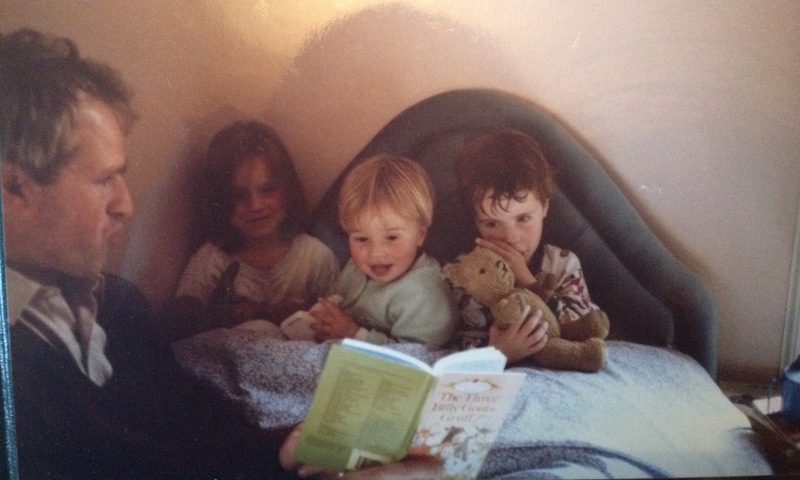 I felt drawn into Moll’s world in the same way I was with Narnia and Hogwarts, I could clearly see it and wanted to be there with them and become part of their tribe. The opening prologue draws you into a world of dark magic where you feel terrible events are beginning to unfold and gives you a sense of uneasiness that stays with you throughout the story. This is only because you get so drawn into the lives of the characters that you care for them and want to protect them from the inevitable danger which lies ahead. Our heroine of the story Moll is gutsy, headstrong and fiercely loyal to all her friends most specially her wildcat Gryff. Abi paints a vivid picture of the influences in Moll’s life from the friendship she forms with Alfie who is by her side. To her guardians Oak and Mooshie who have vowed to protect her and keep her safe. She also creates a deeply sinister villian in the shape of Skull who tries to draw Moll to him by using the Dreamsnatch to get inside her mind. Moll is drawn into a world of darkness and danger in her quest to fulfill the prophecy and destroy the magic that killed her parents. The story moves at such a pace I struggled to put it down, it simply left me wanting more. I kept promising myself just one more chapter, then just another one. 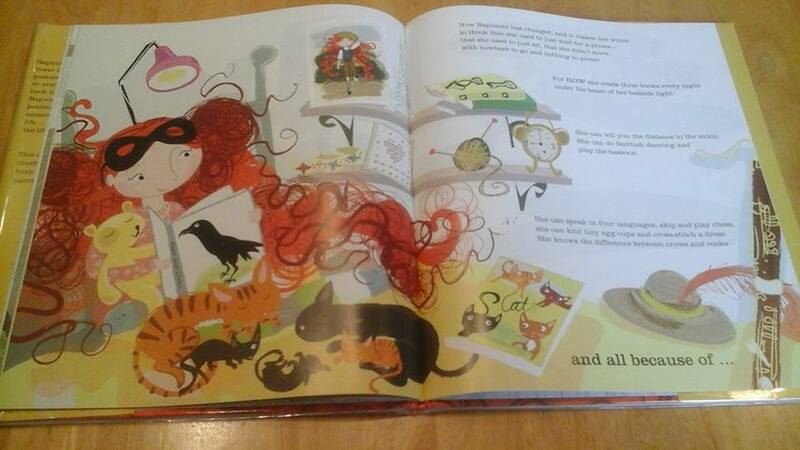 When my house was left in chaos whilst reading it, I have only got Abi and her briliant storytelling to blame. One of the things I enjoyed most about the book was the setting within the gypsy camp and their way of life, traditions, songs and rituals are an integral part of the story. Throughout the book you can feel Abi’s love of nature come through, the woodlands feel alive and without this you would feel something was missing in the story. The distinction beween good and evil is clearly illustrated through the changes to the woodlands and nature as we stray into Skull’s territory. The end of the book makes you desperately want to find out what happens next, and the great news is there is more to come from Moll and her quest. 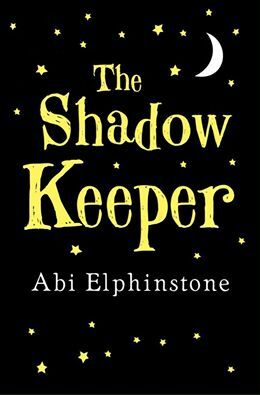 The sequel The Shadow Keeper is due for release in February 2016, and I can’t wait to get my hands on it! If you have a child that loves adventure, the outdoors and magical stories then this is the book for them. I really can’t recommend it enough! What was your Craziest Adventure? Hang- gliding over Rio de Janerio as ‘flying research’ for THE SHADOW KEEPER was pretty cool. 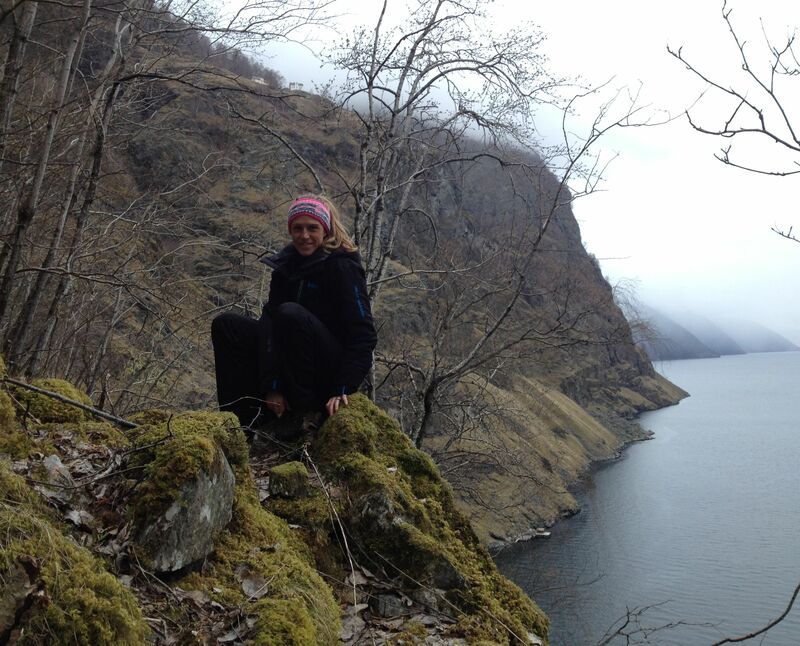 But the craziest adventure was probably back in April this year when I climbed an almost inaccessible cliff in the Norwegian fjords without ropes or a helmet (there was a magical looking hut at the top and I wanted to see if there were dragons kicking around near by). 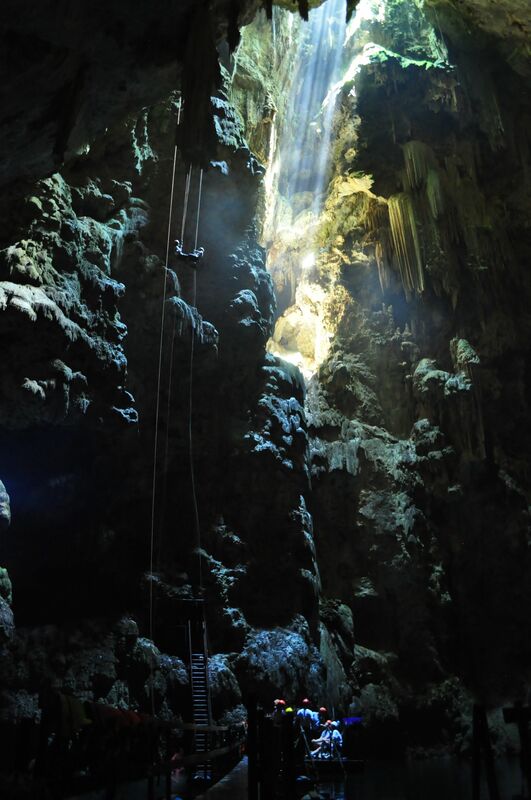 But I have a feeling the adventure I have booked in for October may top that. I’m off to live with the Kazakh Eagle Hunters in Mongolia. I’m going to train golden eagles to hunt for foxes and marmots, sleep in a ger in the mountains, meet a local shaman, listen to traditional throat singing and fish in remote rivers… I cannot wait. 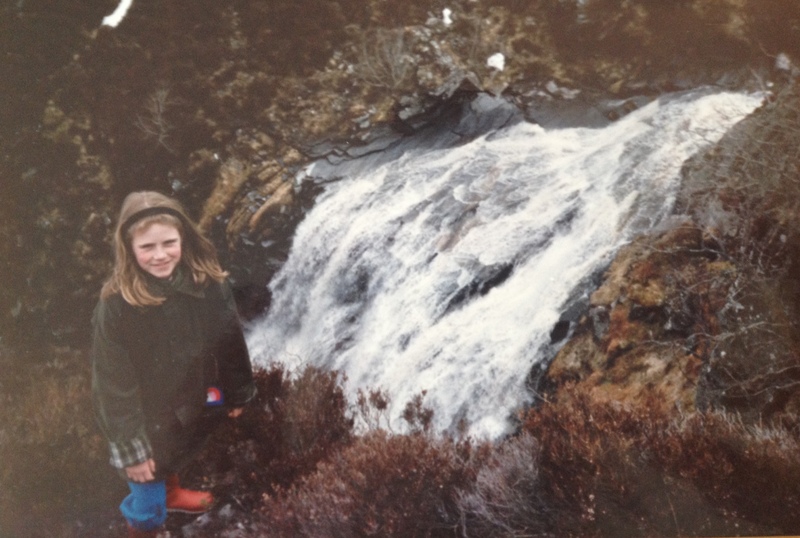 Scrambling across the Scottish moors with my family in search of hidden waterfalls then climbing into bed with my siblings afterwards as Dad read us a story. The book you loved most as a child? This entry was posted in Uncategorized on July 25, 2015 by bookloverjo. 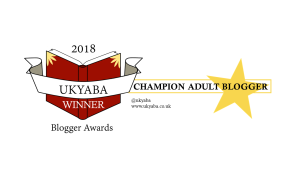 After being asked ‘Why don’t you do a blog?’ by lots of friends because I never shut up about books, I thought I would try and share my thoughts with you about books that I love. 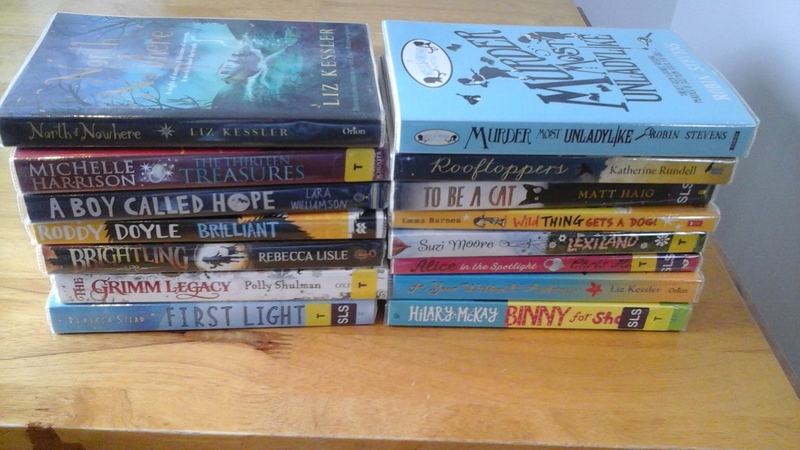 i work as a primary school librarian and a childrens librarian and am constantly discovering great books which I want to shout out loud about. 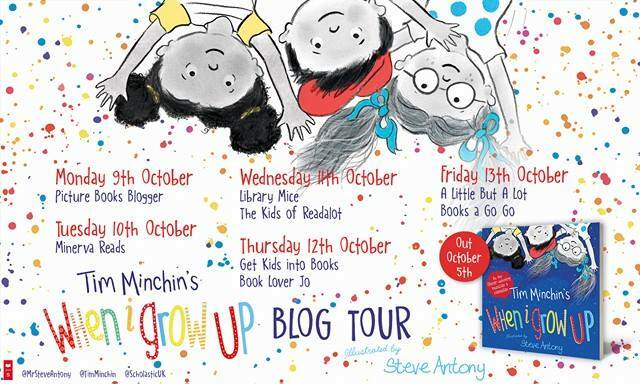 My most recognised phrases at school are ‘I love this book you’ve got to read it’, ‘You must try this book it’s amazing’ because I’m so keen to share my joy of books. I’m regulary asked for recommendations for children who have insatiable appetites for reading and those who may be becoming reluctant readers and need a great book to reignite their passion for reading. 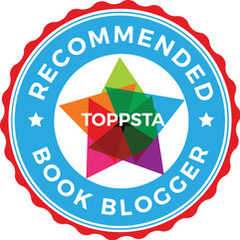 This blog will cover all types of primary level books which I’ve enjoyed and would recommend. Hopefully this blog will help me spread the word about the books I love and if anyone finds its useful, well that’s an added bonus. Sit back, relax and enjoy the books! This entry was posted in Uncategorized on July 23, 2015 by bookloverjo.